Can big carriers overcome looming market challenges? After decades of bankruptcies and mergers, the U.S. airline industry is cruising smoothly. In the years since the 2007–09 recession, airlines have shed money-losing routes, acquired more fuel-efficient planes and, despite complaints from passengers, fit more seats into planes and started charging for services previously included in ticket prices. The result has been eight consecutive years of profitability for U.S. carriers. But the economics of the airline industry are changing. 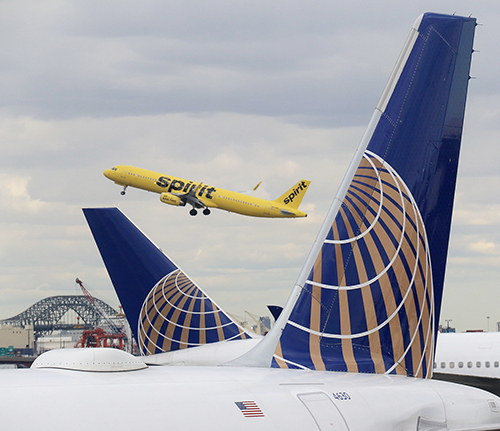 Low-cost carriers, including Spirit and Frontier, increasingly are challenging larger airlines such as American, Delta and United in the domestic market, and budget carriers also are eating into the bigger airlines' trans-Atlantic business. Meanwhile, in a move aimed at boosting revenues but that may alienate thrift-minded passengers, airlines are adopting a new “dynamic-pricing” system, in which ticket prices are based on what the carriers know about individual travelers' past purchases. A growing pilot shortage and increasingly crowded airports are further roiling the industry's outlook.